Break out your best champs in your favorite roles. With new champ select, everyone is on the same page before the draft even begins. Each player chooses two positions (or fill!) before queueing up to find a team. A new feature, “pick intent”, helps everyone understand the champ you want to play and the contribution you want to make to your team's comp. With the draft underway, a new ban phase distributes one ban each to the players who receive the last three picks, while the top two have a shot at securing priority champs for the team. Put simply: champ select should leave every teammate - and every team - better placed to smash the enemy nexus. You now select two positions out of top, jungle, mid, bottom, support, and fill. Requiring two positions ensures short queue times and that no one gets stuck in a position they don't want to play. Everyone learns where they're headed at the same time. Team chat appears here, helping the team get on the same page. 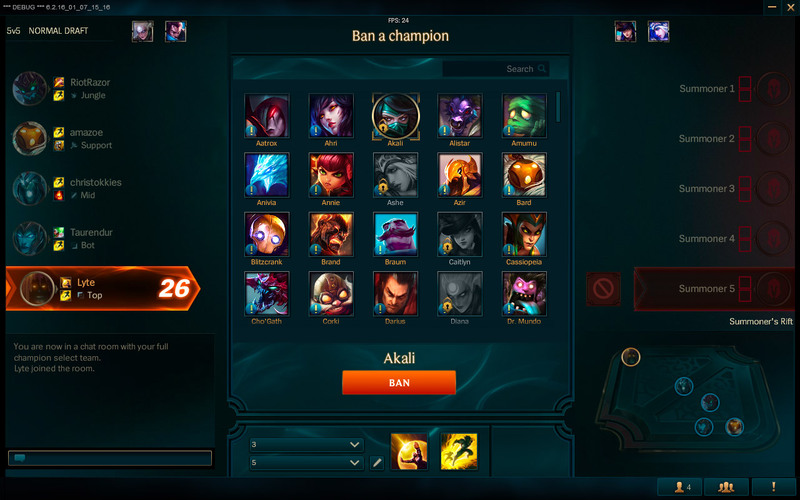 Before the ban phase begins, you can pick the champ you plan to play, highlighting it for your teammates to see. 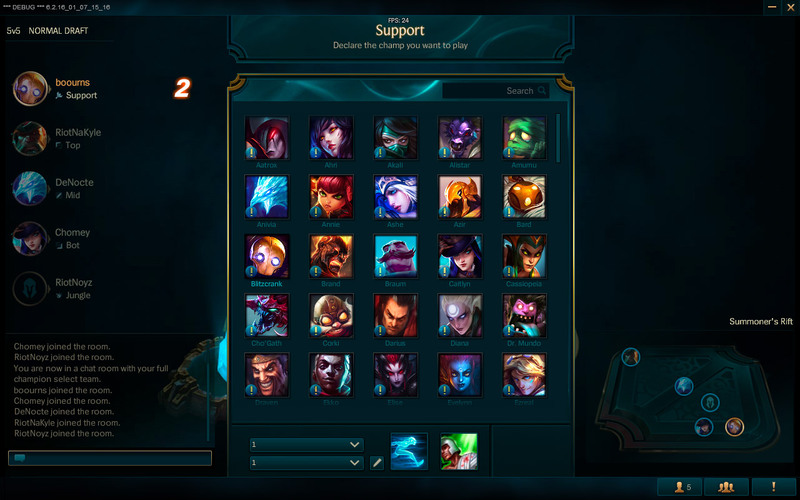 Pick intent helps your team sort out potential comps and avoid teammate-harming bans. We're distributing drafting responsibilities amongst all players. A new ban phase distributes one ban each to the players who receive the last three picks, while the top two have a shot at securing priority champs for the team. For clarity: bans still happen before picks. 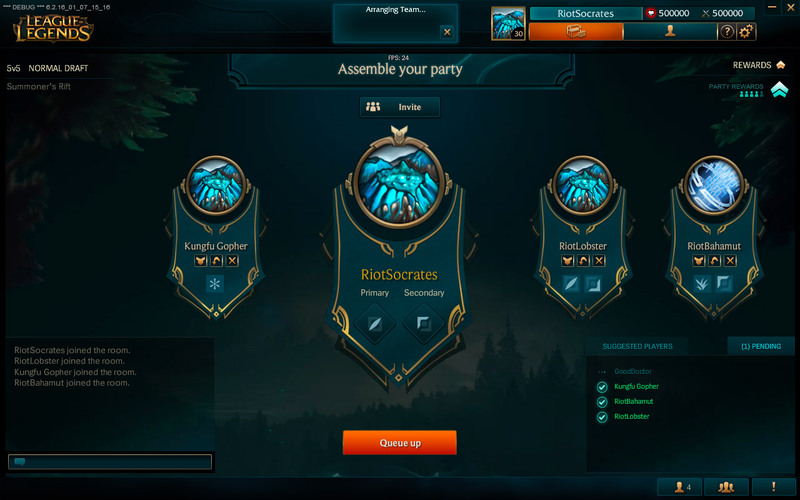 Bans and picks happen one at a time and require everyone to lock in their choice. 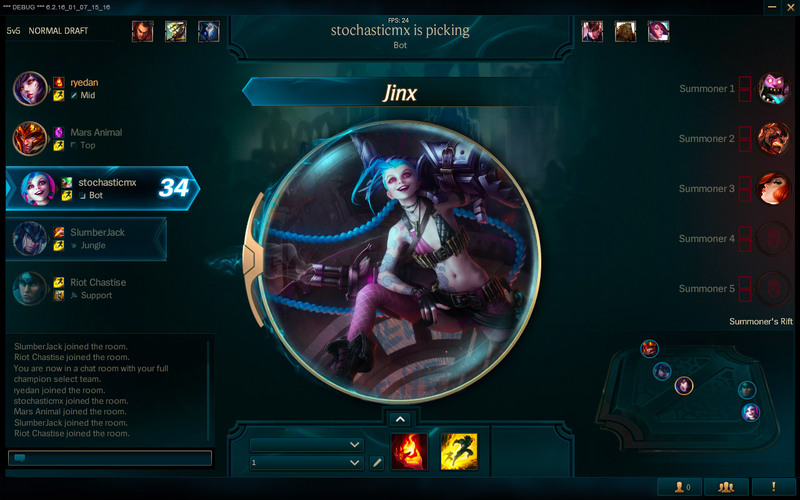 If anyone fails to lock in a pick or ban, champ select ends and players return to queue. We expect this change to speed up champ select after everyone adjusts to locking in picks and bans. Friends understand each other's intentions and set each other up for success. 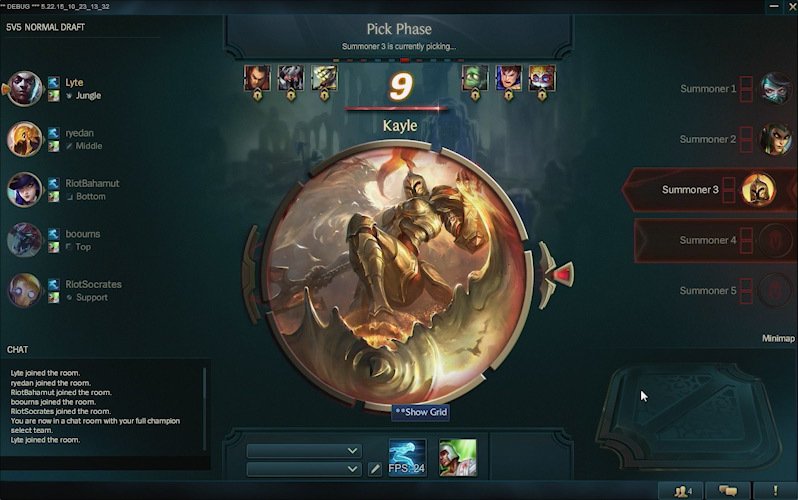 This idea is key to champ select's new design.The new champ select helps strangers cooperate so every player plays from a position of strength, understands their teammates, and makes their best possible contribution to a win. Requiring two positions ensures short queue times and that no one on your team gets stuck in a position they don't want to play. We know some options (*cough* support and jungle) aren't always quite as popular, and plan to incentivize these roles with IP bonuses if necessary. We don't see position select impeding lane swaps or other emergent strategies in the future, and teams remain totally free to collaborate and experiment with different comps (double jungle 2016)! After your match is made, you and your new teammates discover your position and enter the draft. Before the ban phase begins, everyone picks the champ they plan to play—this is called pick intent. 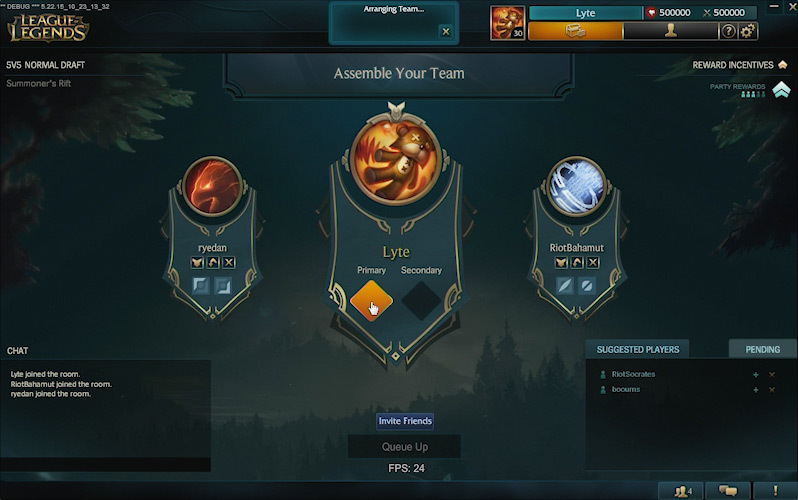 Pick intent helps your team sort out potential comps and avoid teammate-harming bans. Now each player selects their champion one at a time. For example, if your team has first pick, the opposing team still picks two champions afterward, they just lock in one after the other. 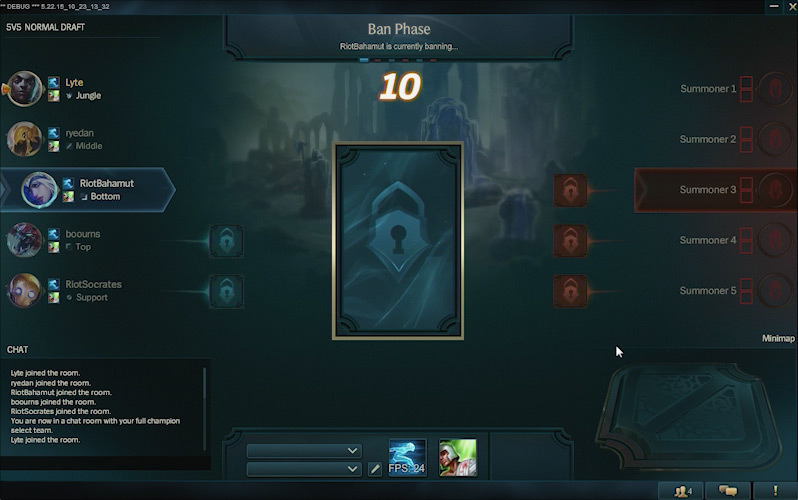 As a result, however, both bans and picks now require everyone to lock in their choice. 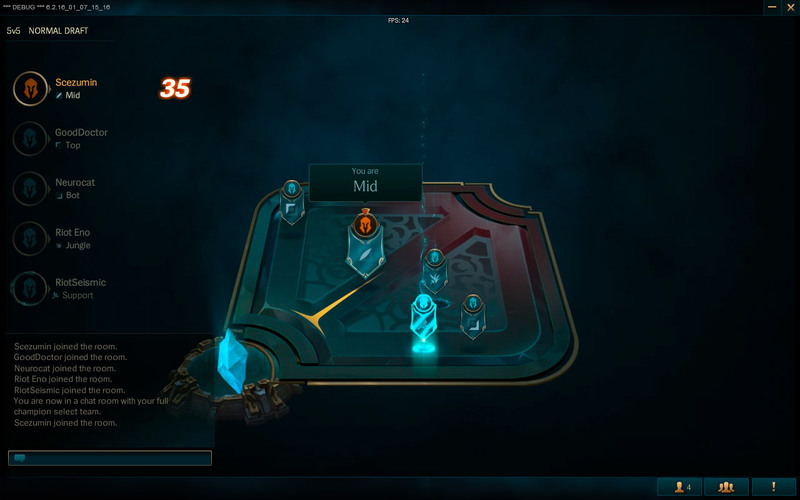 If a player fails to lock in a pick or ban, champ select ends and players return to queue (and that player faces the same queue dodge penalties). We're distributing drafting responsibilities amongst all players so every player gets a chance to make a meaningful contribution to their team. A new ban phase distributes one ban each to the players who receive the last three picks, while the top two have a shot at securing priority champs for the team. 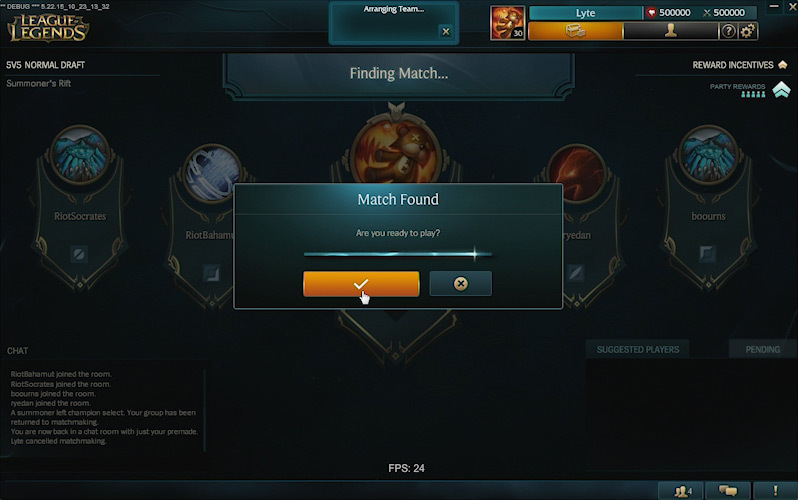 For clarity: bans still happen before picks. New champ select hits PBE first, and will go live in normal draft during an upcoming patch. We'll keep you posted on all queue changes as they approach, and we're excited to hear your feedback! © 2015 Riot Games, Inc. All rights reserved. Riot Games, League of Legends and PvP.net are trademarks, services marks, or registered trademarks of Riot Games, Inc.